Podcast Show Notes are, essentially, the written version of your podcast. They can also contain links (and, if you use Blubrry, you can even link to specific time locations in your podcast), images, or even a whole dissertation. And having great podcast show notes is important. 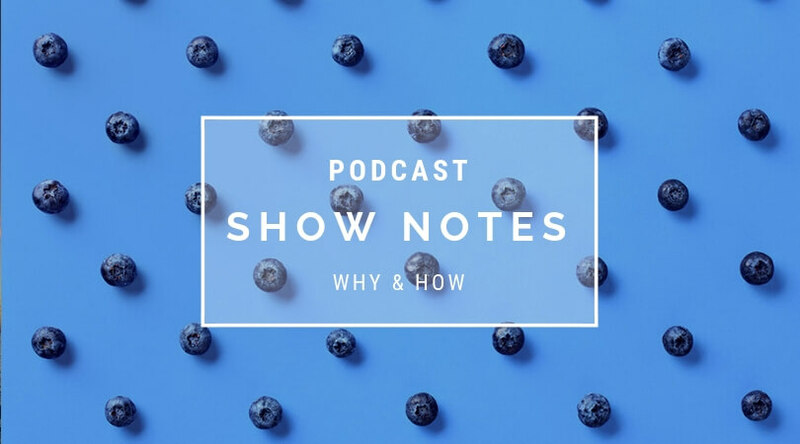 Read on to find out why, as well as a few simple tips to creating great podcast show notes. It’ll help you be more structured (and your listeners will appreciate that). Let’s face it: there are a ton of less-than-stellar podcasts out there. Rambling, stream of consciousness stuff that muddies the discovery waters for folks trying to take their podcasting game up a notch or two. If you have podcast show notes and an outline– and stick to it– you will be-able to tell your story and share your views more succinctly and convincingly. Podcast show notes are searchable. Meaning, when someone is on the hunt for their next great podcast to get hooked on, one of the ways they’ll try to find it is by searching (Apple, Google, Spotify, etc.). If your podcast show notes are written well, there is an increased likelihood people will find you. There are, of course, more factors to ranking well in search and if you want to learn more, check out our recent post about podcast SEO. Podcast show notes give your audience another–sometimes more convenient–way to consume your content. Making a great show isn’t enough to become a podcasting titan and build a huge audience, unfortunately. You’ll need to supplement your audio (and/or video) with a variety of ways for your audience to consume the great content you’re producing. We’ll be writing about repurposing content in the months ahead, so stay tuned. Give more details. Maybe there is something you don’t want to go into or don’t have time to go into. Maybe it’s photos or video. Whatever the reason, podcast show notes are a fantastic place to expand on things. It’s a great way to continue connecting with your audience, building that relationship once bit at a time. Tell them what you’re going to tell them. There’s an old communications adage that goes something like “tell them what you’re going to tell them; tell them; then, tell them what you told them.” Your show summary can be the “tell them what you’re going to tell them” as well as the “tell them what you told them” parts. Giving your audience multiple touches can help your message stick with them better. Use Blubrry PowerPress WordPress plugin. It’s free. It’s super easy. And it’s one of the most widely used podcasting plugins. With PowerPress (and only with PowerPress), you have the ability to create an optimized Apple Podcast summary. That way, your show notes will look great and be helpful to your audience/potential audience members. Be descriptive, but not repetitive. Think about how your show will look in the app your audience uses to consume it. 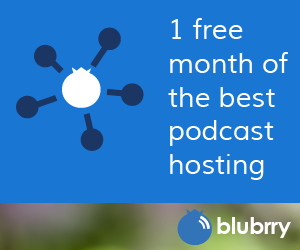 (As an aside, if you’re not sure what devices, where, or even when people are consuming your podcast, be sure to check our Blubrry Pro Stats). You want your podcast show notes to be helpful to a potential listener, so give them the most important stuff right up front. Give them the why. Simon Sinek has a great TED Talk about how people don’t buy the “what” or the “how” of a product or brand. They buy the why. Make sure your podcast show notes give a clear reason why someone might want to listen to/watch your podcast. Podcast show notes are not just another thing to do for your podcast. They’re important and can help you build your audience if you make them useful. Thanks for describing the importance of the podcast show note. The Powerpress plugin configured with Blubrry has really helped in shaping the audio contents of my site. This topic is also helping me gain more insight to it its feature.